Note: For several other wonderfully inspiring Christmas stories, click here. 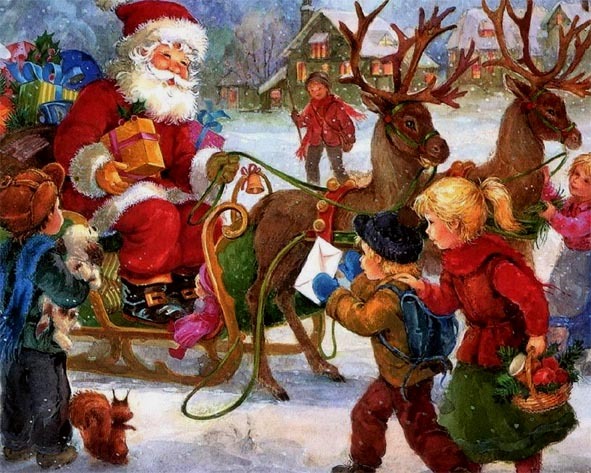 And to learn about the real saint upon which the character of Santa Claus was developed, click here. Explore several dynamic online courses which invite you to shine light into the darkness, open more fully to love, and powerfully expand your horizons. Share this inspiring story on Santa's team with your friends and bookmark this article on key news websites using the "Share" icon on this page. We need your support. Please help our work to grow and thrive by donating at this link.